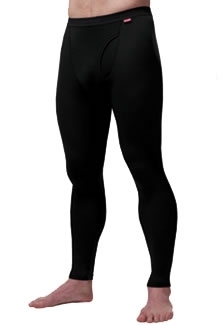 RedRam is a line of affordable Merino Wool thermal underwear for everyday use. 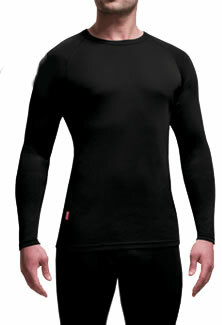 The are many benefits of Merino Wool but as a Base Layer (next-to-skin) layer Merino works especially well. Merino Wool is different from regular wool in that the fibers are much smaller and less course. Because of the tiny fibers Merino Wool doesn’t feel itchy when it’s next to your skin but offers all of the great insulating properties of wool. Another great benefit of Merino for your base layer is that it naturally fights odors. Why Would A Hunter Want To Wear Merino Wool? Merino Wool is a renewable resource. Merino Wool has tiny little fibers, so is not itchy next to skin. Merino Wool offers the powerful insulating properties of wool. Merino Wool can retain nearly 1/3 of it’s weight in water and still provide the same insulating capabilities. Merino Wool clothing is typically light weight compared to similar synthetics which make it attractive for backpackers. I had never heard of the RedRam product until I emailed Ice Breaker asking if they would be interested in advertising on my website. They contacted me right away and asked if I would be interested in the RedRam lineup. Obviously I was so they provided me with a set of the Merino Wool Long Underwear Top and Bottom. They also provided some Icebreaker items we had requested as well that we will be reviewing at a later date. We’ve been wearing the RedRam base layers through Black Bear season and so far this is great stuff! I’ve always used traditional sythentic base layers such as polar-tec, xps and even the brands that Costco sells a ton of and I am glad I’ve made the switch to Merino. The IceBreaker Merino that RedRam uses is incredibly soft and light weight against the skin I initially questioned it’s ability to keep me warm. Wool Socks were my first introduction to wool and my feet hated them! I couldn’t stand the itchiness and am happy to say that with the RedRam Merino there is no itch whatsoever. They feel very light next to comparable synthetic products I own (polartec, XPS, paradox) and when thrown on a digital scale they are actually about 1 – .5 oz lighter than the comparable synthetics as well which makes them slightly more attractive to a lightweight backpacker. Despite being a lighter material the Red Ram Merino product is actually quite warm and because of it’s many natural benefits I think Merino is a much better choice for hunters. The Red Ram line would be suitable for most of your 3 season use, possibly even 4 season use if you were using it as part of a multi-layered system. For everyday use like they claim on their website, it’s an excellent product. Where Can You Buy RedRam Merino Wool Underwear?